The announcement, though, has been marred by a groundswell of concern that the ailing and reclusive 81-year old author is being exploited and coerced into the deal a mere three months after the death of her sister and protector, Alice Lee. Some are even saying, ridiculously, that the publisher should cancel plans for the book and essentially, pack the manuscript away again in a dusty box. At issue is the fact that the famously press-shy Lee, who resides now in an assisted living home in Alabama, has not come forward in person to quell the fears and suspicions of the masses. But does that even matter? The author has released multiple statements, through her lawyer and publisher, that she’s not only in favor of releasing the book, but that she’s “happy as hell” about it. Purists worry that the new book can’t possibly be as good as To Kill a Mockingbird, and that its release could detract from the author’s and original book’s reputation. They’re quick to point out that Lee’s original editor at Lippincott rejected the Watchman manuscript in favor of her rewriting the book from the perspective of Scout as a child. And while that’s clearly one of the best editorial decisions in the history of book publishing, it by no means discounts the quality or value of the book that inspired it. It actually makes it more valuable. After all, it was written by Lee, one of the most gifted writers of the 20th Century, during the same time period that she penned an American classic. Go Set a Watchman could very well join To Kill a Mockingbird in the annals of great fiction, or at the very least, become a prized resource for scholars and teachers. The book’s four-word title even shares a similar cadence with that of Mockingbird. It comes from the Bible verse, “For thus hath the Lord said unto me, Go, set a watchman, let him declare what he seeth.” (Isaiah 21:6). The verse can be interpreted to mean looking or waiting for something momentous yet to come. 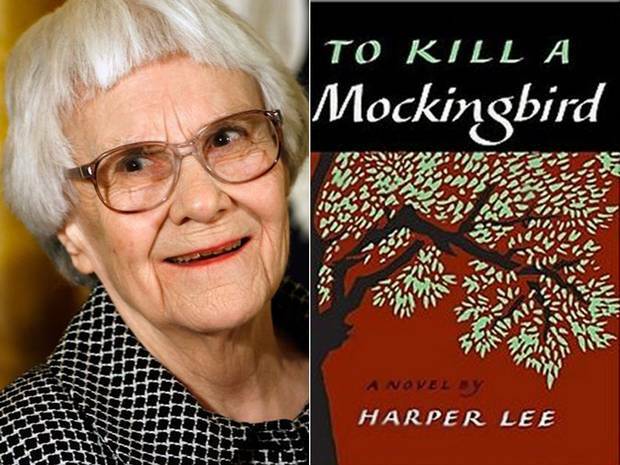 After 55 years without a new Harper Lee novel, we’ve waited long enough.